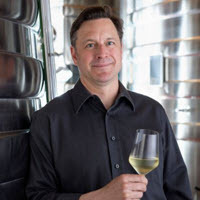 Owner Harald Thiel's uncompromising attention to detail has landed Hidden Bench in the Canadian Wine Awards' top 10 every year since the winery opened in 2007 - with Nuit Blanche named Canadian White Wine of the Year. This small, yet modern and sophisticated, estate winery is tucked away on Locust Lane in the Beamsville Bench appellation, essentially hidden by vines (the nearby, estate-owned Rosomel Vineyard site also provides top fruit). HB's primary focus is to showcase the terroir of the Beamsville Bench through their award-winning Pinot Noir, Chardonnay and Riesling offerings. Limited-edition rarities like Tête de Cuvée Chardonnay, and elegant Bordeaux blends La Brunante and Terroir Caché, can be purchased at the winery as well as at select restaurants. Fumé Blanc, Gewürztraminer and others complete the impressive lineup.